The holidays are less than a month away! It’s time to review some real holiday etti-kit smoke tips before one of you mj enthusiasts do something to tarnish your cannabis manners reputation. Whether you light the menorah or are waiting for St. Nick to come down the chimney, it would be a shame if you lit some decorative lace doily on fire while you share with someone you love your vast knowledge on how to light a one hitter. Here are some ideas on how to carry marijuana safely and how to have some general holiday etti-kit for smoking through the holidaze. If you are going to show someone that you know how to use a one hitter, please light the right end. Obviously the shallow end of the pipe is the part you pack! It is very poor mj etiquette to pack the long portion of a one hitter. You might burn your friend’s lips or light their hair on fire! It is also very important to have a clean discreet stash kit. If you are going to be medicating on the go, a stash travel case has all of the essentials but only if it is not covered with resin! You must know how to clean a grinder and how to clean a glass bowl. If your friends have any cannabis etiquette and are willing to share something from their marijuana stash kit, you must show them that you also have cannabis manners and valuable information to share. The importance of cornering a bowl etiquette cannot be emphasized enough. In other words, do not torch their herb! Everyone loves a clean, green hit, so don’t spoil it at your holiday party by burning the whole bud. Carefully light just the side of the bowl so that only the edge of the cannabis burns. This may be the core of all holiday etti-kit. It shows that you care about preserving your friends expensive stash and their experience. If you are a medical marijuana patient, your mmj travel case is essential and its contents are even more important. If you elect to share any of your medication, then someone grasping the importance of cornering a bowl etiquette is essential. 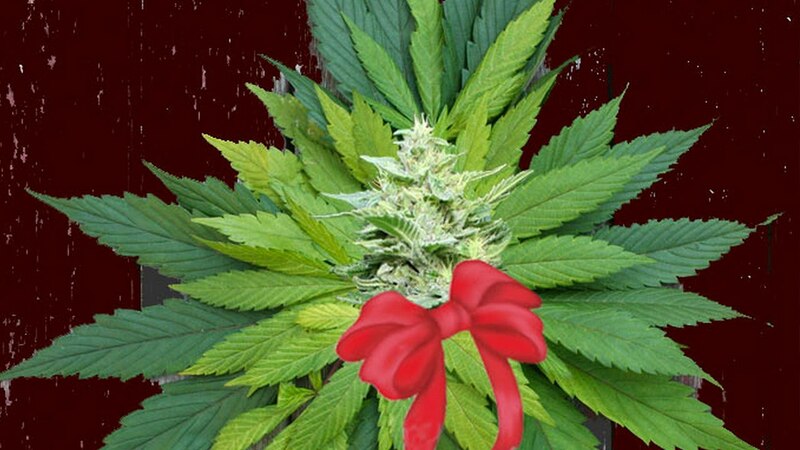 We here at Happy Kit want to wish everyone the happiest of holidays and hope these smoke tips allow you to carry cannabis safely and show off to your loved ones your mj manners. The holidays are a wonderful time of year, so whether you are using a one hitter, rolling up a doobie or practicing the importance of cornering a bowl etiquette, remember that cannabis use has always been about being social and close to those around you. We represent peace and loving for our fellow human beings. Stay Happy and Enjoy this Wonderful Time of Year!